As per Direct Marketing Association, for every $1 spent on email marketing, the average return-on-investment is $40.56. So, it comes as no surprise that companies are leaving no stone unturned today when it comes to sending personalized email campaigns. For the starters, personalized emails boost click-through rates by 14% and conversion rates by 10%. However, shooting emails to your customers is just one part of the whole story. To make your email campaigns work and for you to rake in the desired profits depends on the next steps the customers take after engaging with your email. The point is: Your work doesn’t stop at the customer inbox. The emails are supposed to be actionable, directing the recipients to a particular landing page or inviting them to take advantage of a personalized offer on your site. You may have to send them to a specific landing page or invite them to take advantage of a personalized offer on your site. Here I walk you through 5 strategies that highlight how to use email marketing to increase website traffic. There are good numbers of articles on the internet that pontificate on how to make the most of paid ads to send traffic to dedicated landing pages of your website. Sure, the practice is still at its nascent stage, the fact is it still is one of the best practices to direct traffic to your landing page. Let’s say you are googling for ‘Companies hiring product designers’ and you come across this paid ad in the process. Is the ad focused? Yes. 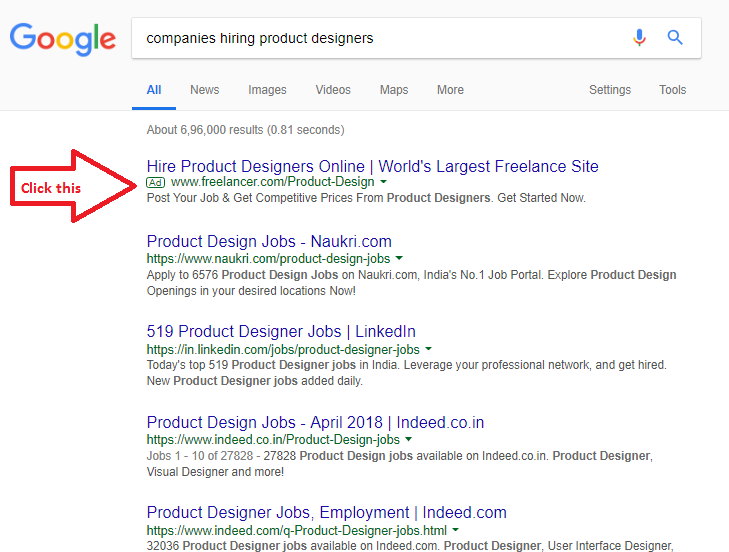 Look at it carefully and you will find the core idea same, in case of the ad and landing page, that is finding product designers. Is there visual continuity? Yes. Contrast this focused paid marketing with this unfocused email marketing campaign. 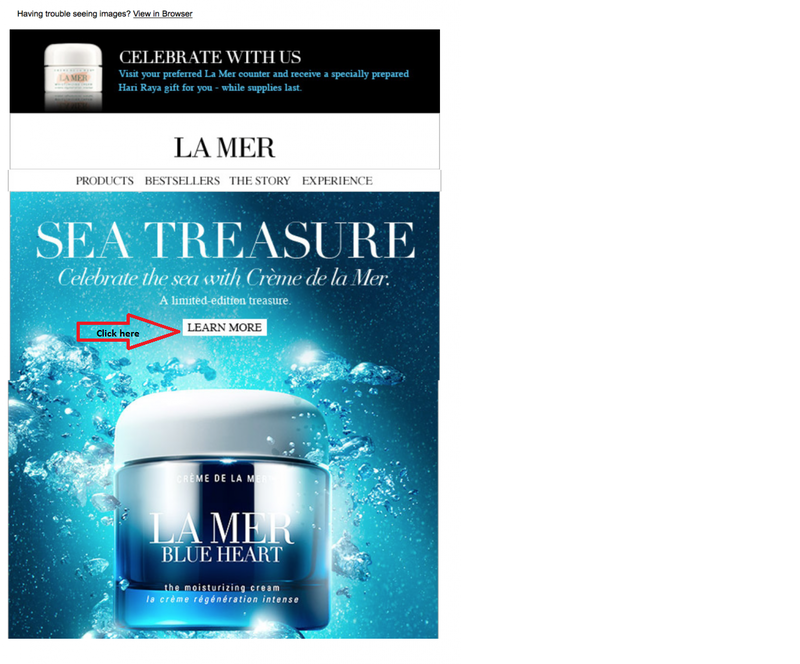 The goal of this email by Le Mer is to make the audience learn more about the story behind its Blue Heart moisturizing cream. On clicking the call to action button, which is the “Learn More” button in this case, he or she is directed to a landing page below. 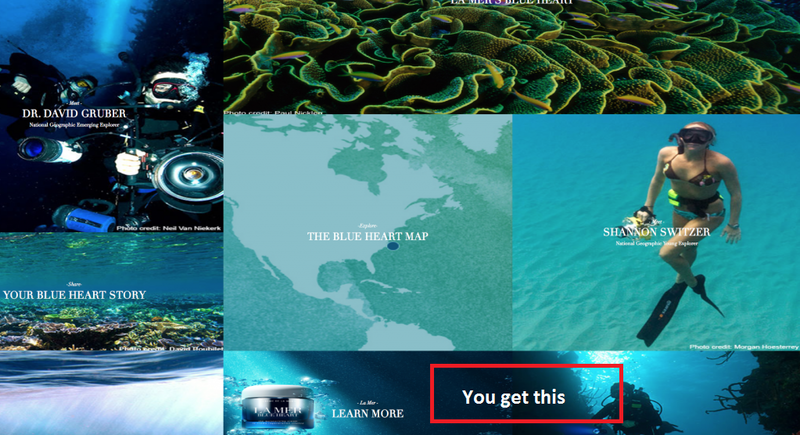 The landing page ends up displaying the company’s entire Blue Heart Collection. Is there visual continuity? Yes. Is it specific in terms of goal? No, not at all. The email marketing campaign thoroughly focuses on the moisturizing cream, which isn’t the case with the landing page. In fact, the image of the cream has been dumped in the last line, under several other images. As a matter of fact, the landing page has been converted into a sort of template of La Mer website. And it represents the entire Blue Heart Collection, which shouldn’t have been the case. The focus should have been on the Blue Heart moisturizing cream alone, with a key focus on benefits and testimonials. This is a spray-and-pray strategy of marketing. That is shooting emails to some hundreds of thousands of customers to get a few click-throughs and a couple of conversions. #1. The email campaign and the landing page should have similar text and design. #2. The background and text should be plain and simple. No overcomplicating with too many images and tough-to-understand text. #3. Keep the forms short on your landing pages, be it for discounts or subscribers sign up. A form with three fields has a conversion rate of 25%. That rate decreases if you add more fields to it, according to Unbounce. #4. In case of both your emails and landing pages, make sure to combine the call to action with payoffs. Let’s say, you are offering a free trial on your software for 30-days. In such a case, explain benefits or provide testimonials that prove your software is worthy of a trial. #5. 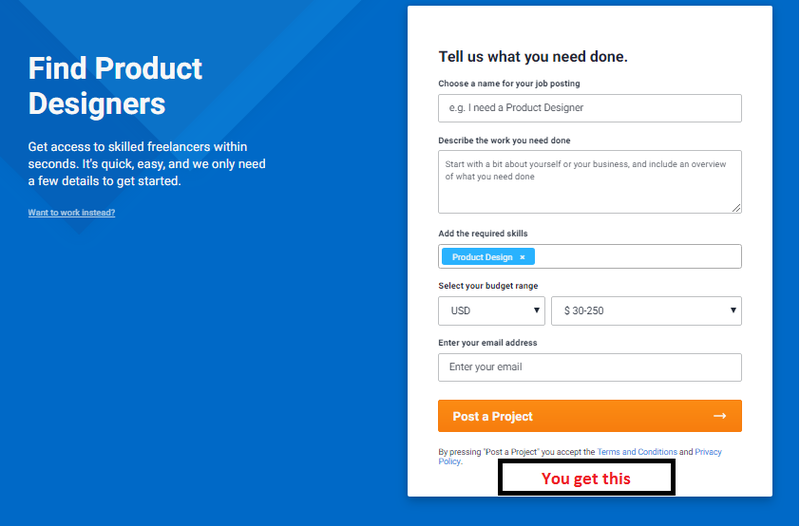 Create one call to action on your landing page. That’s it. You may be tempted to add an extra one directing toward your homepage or blog. But then stop right there. The whole point of coming up with landing pages is to keep subscribers focused only on one particular task. So, avoid introducing additional options now. Also, ensure that the ‘call to action’ button stands out. #6. Use responsive email templates because more and more people are opening emails and landing pages on mobile. The success of an email marketing campaign depends largely on the quality of the contacts. In other words, you need to add only those contacts to your email list who may have opted-in to receive your emails. In short, your emails should be totally subscription-based. This will make sure that people you are targeting are interested in what you’re selling and interested in reading your content as well. The approach ensures that email marketing drives both website traffic and increases repeat visits. To make sure that people read your email content, it’s important to pay close attention to the audience’s interests. Meaning, your website subscription form should give subscribers the option to tick off only those boxes they are most interested in. This will help them receive only relevant information. Robert Paul Properties website sign-up allows its subscribers to check in those listing areas they are interested in, which ensures they receive only relevant information. The subscribers have to tick off those areas he or she is interested in. 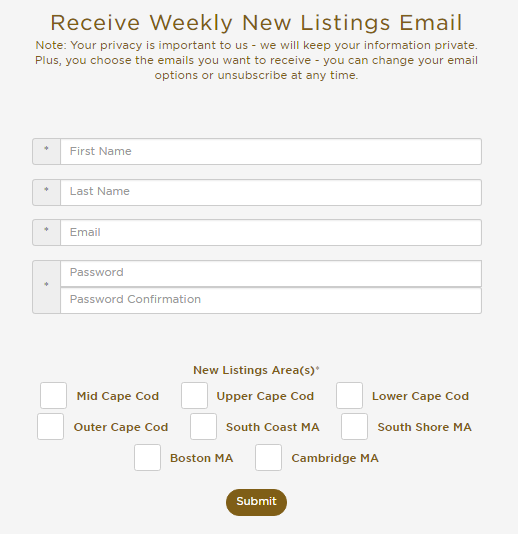 Based on subscriber’s location preference, the real estate company organizes contacts into separate email lists. And every week when emails are sent, the company makes sure that emails are location-specific. If your email happens to have strong open and click rates it means your emails are being received well. Once you are sure that your emails are performing well, go a step further and think about how your emails could be linked to your business goals. In terms of website traffic, Google Analytics is commonly used as it offers an in-depth look at your visitor interests and behavior. You could use the same tool to see how much traffic is coming to your site when you send out emails. Then you could measure the time the email subscribers are spending on your site and how many pages they are visiting. Yes, you could increase the reach of your emails through social media, too. To that end, you can use different email marketing software such as Get response and constant contact to schedule posts on Facebook, Linkedin, Twitter and more. You could even seek the help of top digital marketing companies who could help you in charting out different social media strategies to drive traffic to your website. There you have it — 5 different strategies to increase traction your site through email marketing. By encouraging your email subscribers to visit your website, you will be really helping your business to show up in rankings. Do you have any other email marketing ideas that will help in driving more traffic to your website? Go ahead and share them in the comments.